A trio of new releases basically lived up (or down) to their expectations this Friday, with the big franchise film performing almost exactly to (diminished) expectations. 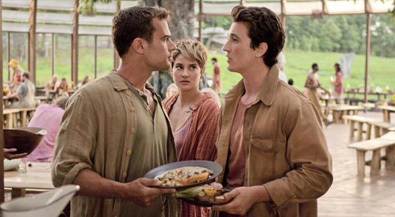 Insurgent, the second film in the Divergent series, opened to an estimated $21.3 million on Friday, trailing behind Divergent's performance by a little more than a million. While any slippage in a franchise isn't welcome, that it was this minimal is basically a wash, and at least gives Lionsgate assurance that they can complete the trilogy + 1 of films they've planned off this trilogy of books (though I can still hope that this "splitting the last book" thing dies a horrible death). The budget for Insurgent jumped a bit to $110 million from Divergent's $80 million, which will cut into the bottom line a little, but with international sales factored in, it should still be a healthy profit for the film. Shailene Woodley's career survives another day, as well as plenty of terrible CGI artists', as this should translate into about $50.5 million for its opening weekend. Sean Penn's foray into action, The Gunman, was a bit of a dud, with just $1.8 million on Friday at 2,816 venues. The film is directed by Taken's Pierre Morel, and bad reviews and Penn's lack of box office clout really left this with very little chance at success. The action market remains a tough nut to crack, particularly for those stars who aren't known for the genre, and it still requires a hook, such as with the Taken and Expendable franchises. Weekend carryover should be minimal, and this is looking like about a $5 million opening.